Financial trading software provides fully organized real-time bidding process. 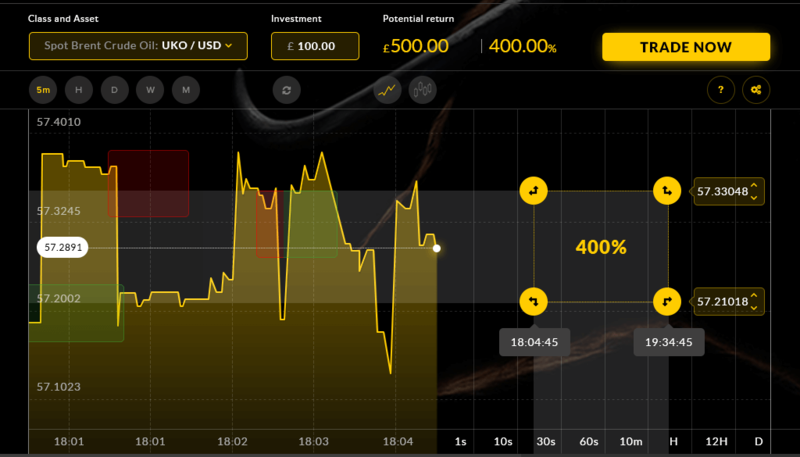 A unique trading mechanism analyzes existing data and makes the forecasts on the basis of the vector algorithm. 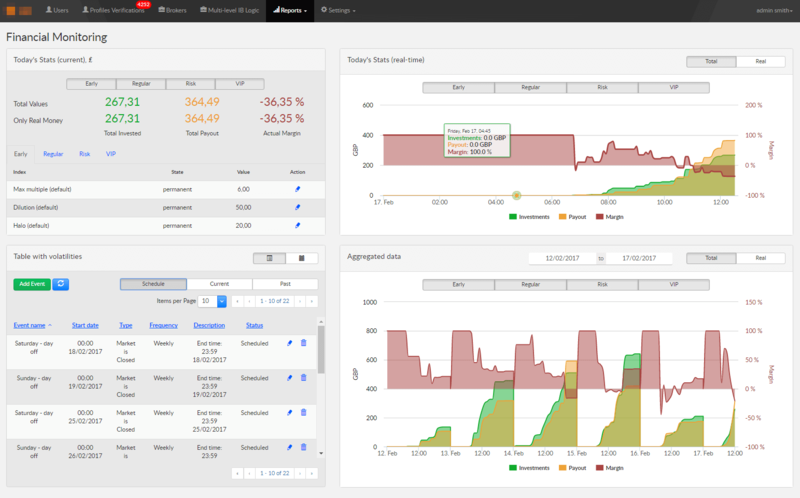 Low latency application with the full set of reports and features to control your financial health. 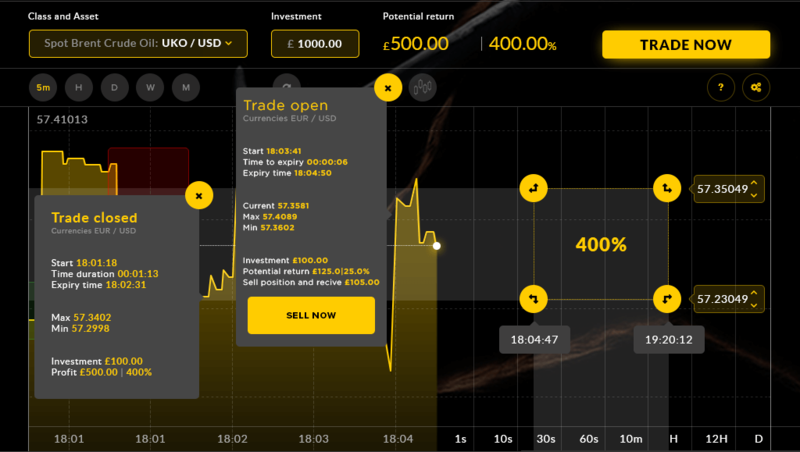 We were required to create a trading platform with adaptation for mobile version, that provides an exclusive solution on the financial market: a mechanism that allows you to predict the price of a wide or narrow range, hold short term tradings and earn the money. The platform works in two directions of B2B and B2C. The project has been successfully launched in August 2014 and already used by several brokers. We are still improving it. The historical data graph shows the most recent data changes for the asset you have chosen. The current price is always in the center of the screen and is updated every 0,4 msec. So as soon as the price is renew on the market, you can immediately see it. 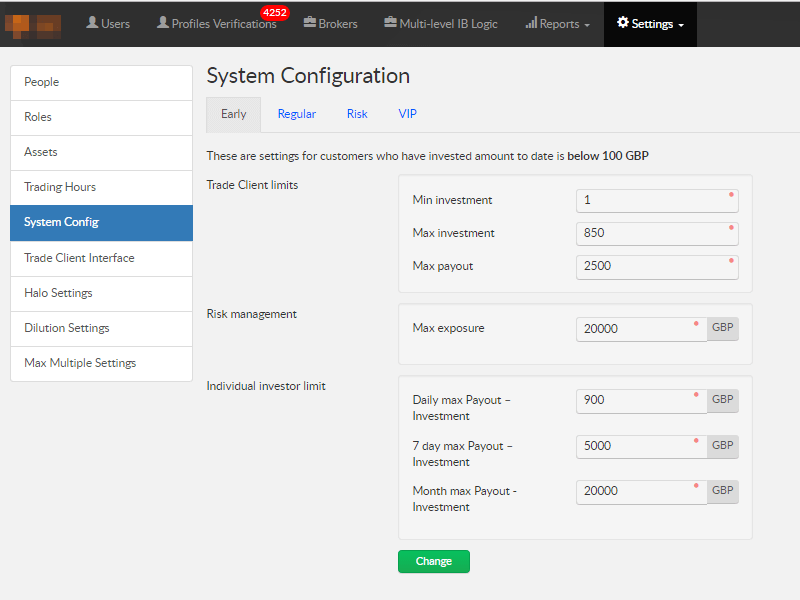 Thanks to the integration with the price provider, we receive quotes from up to 50 assets. 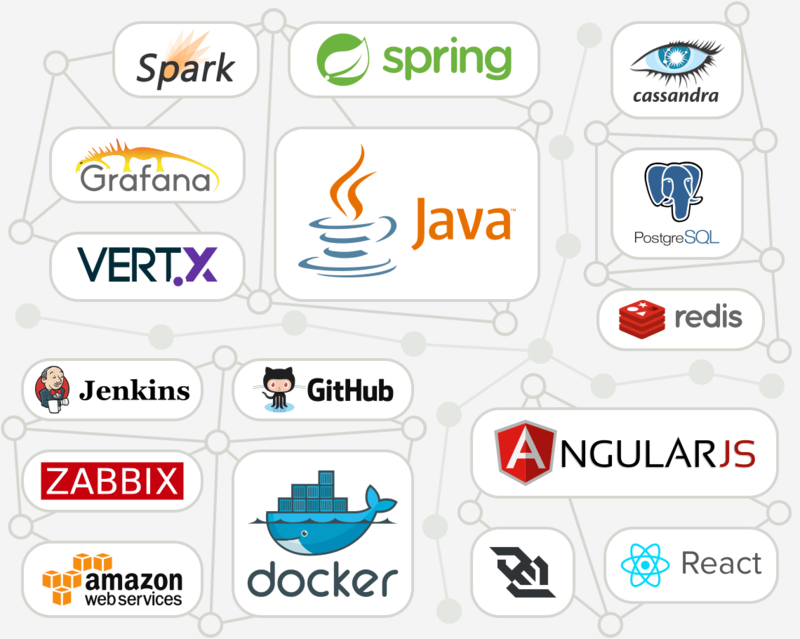 All above is possible due to the Bigdata storage, that on the one hand it’s all about large amounts of data, while on the other hand it is also almost always about running analytics on those large data sets. 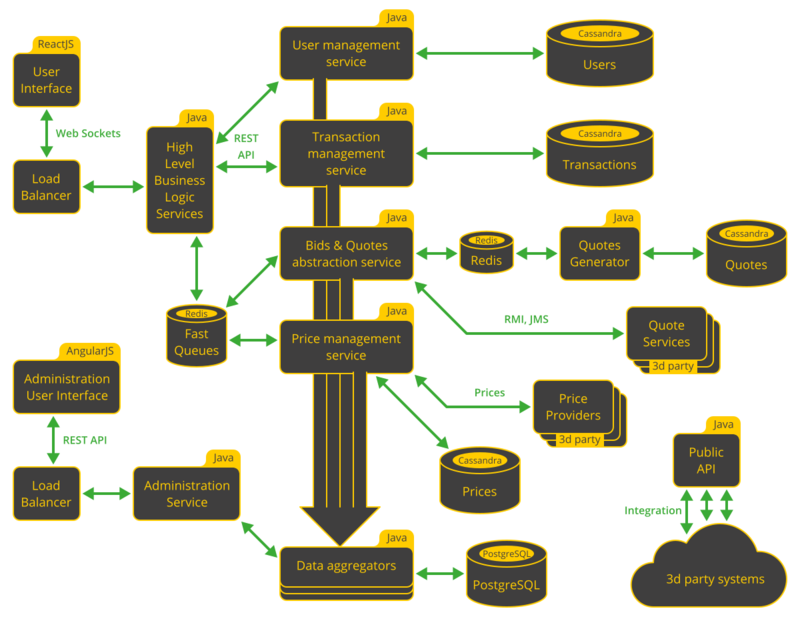 The real-time bidding process is fully organized within our financial trading software and every transaction carried out with a speed of 0.1 ms. To do this, we use the reactive framework, as well as we are working on a web sockets that allow us to quickly and securely share data between the server and the front end. We analyze existing data and make the forecasts on the basis of the vector algorithm. 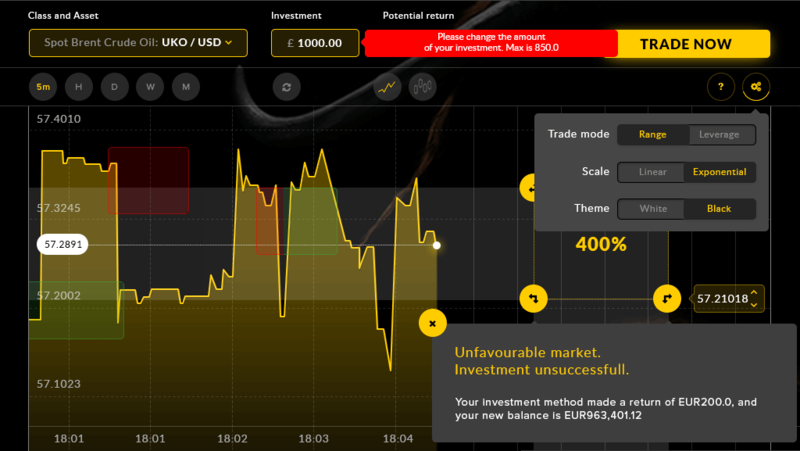 It allows us to take a bet, to check if the bet was played and whether the client has received the money. A user can choose his favorite asset class and asset type. 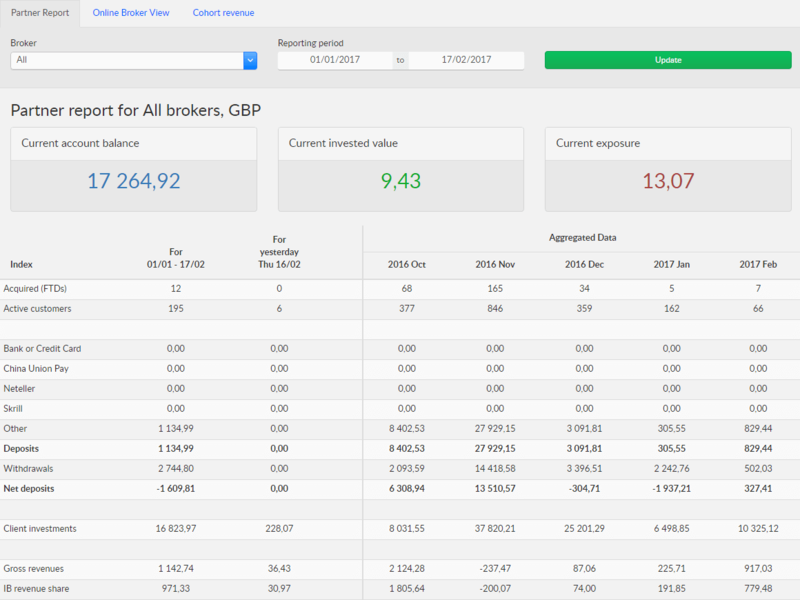 We will add more assets and asset classes as more data feeds become available. The visible assets will always only be assets that are available for trading immediately. If the market for an asset is closed, the asset will not be shown. Also, a client can choose between Currencies, Indices, Commodities and Sentiments and all the main currency exchange rates are available to trade on. The financial trading system allows to see live trades in the Open Positions window as well as previous trades in the Trade History window. Open Position and Historical Tradeshow details in the Investment Live window. 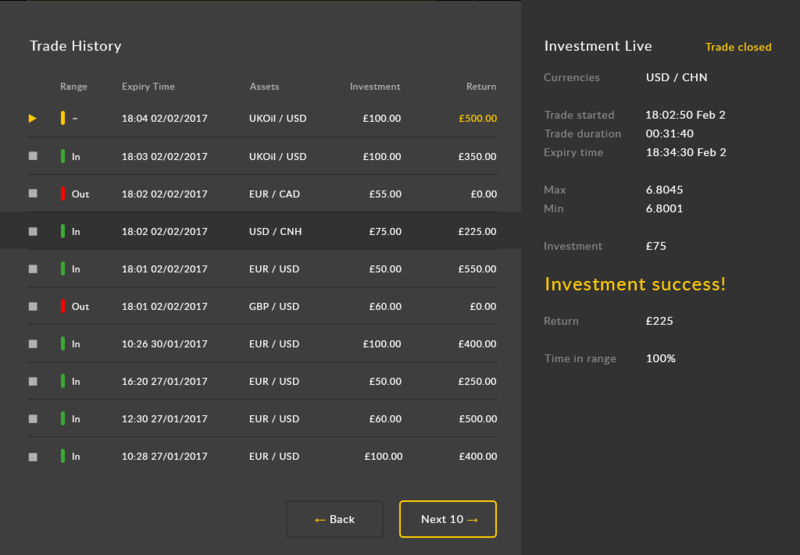 Also, it is possible to exit trades early in the Investment Live window. 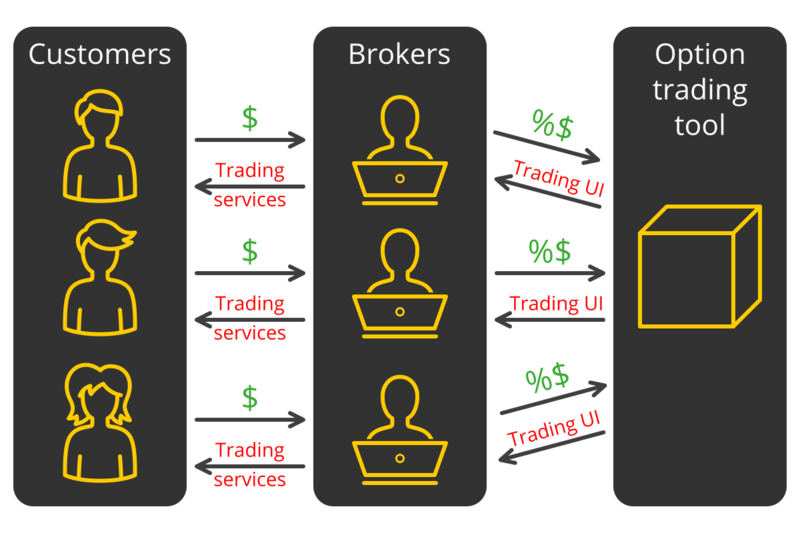 Customizing broker's service settings and configuration - logo, favicon, trading features, etc. Trade Management settings - minimum and maximum amount of investment, the opening of the market close, etc.